I was stopped dead in my tracks on page 16 of the March 2012 Bon Appetit. 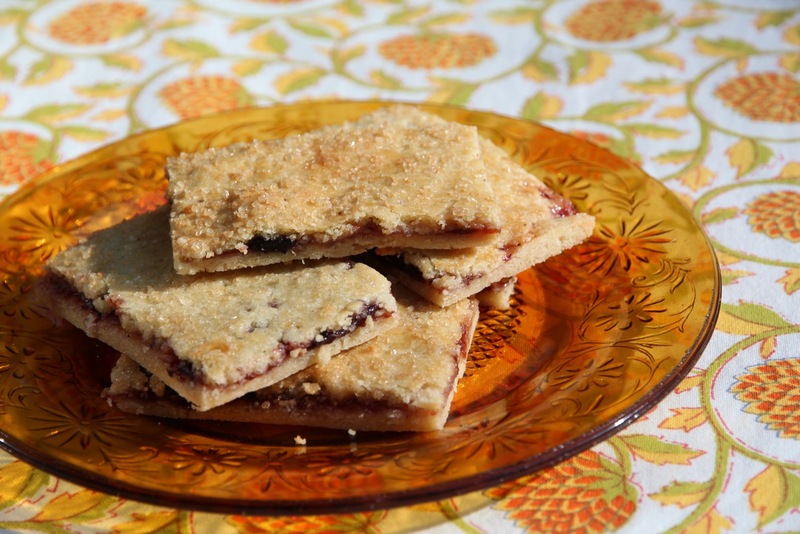 A recipe was calling my name…We have named them Raspberry Linzer Bars in the magazine but who are we kidding – these are homemade “Pop-Tarts”! OK they are a very upscale version: almond flour in the dough puts these over the top compared to the purchased commercial pastries – and of course you can choose to use whatever jelly/jam filling that you like. I used blueberry, because that’s what I had around. (It is better to use a jelly or jam; preserves are too chunky). The only change I made to the recipe was that I chilled it before rolling it out and Again after rolling. I wanted to make sure my jammy rectangles would hold their shape. I also used a bit more jam. You will know how much you need as you are spreading it on the dough. You want a nice thin even layer. Perfect.